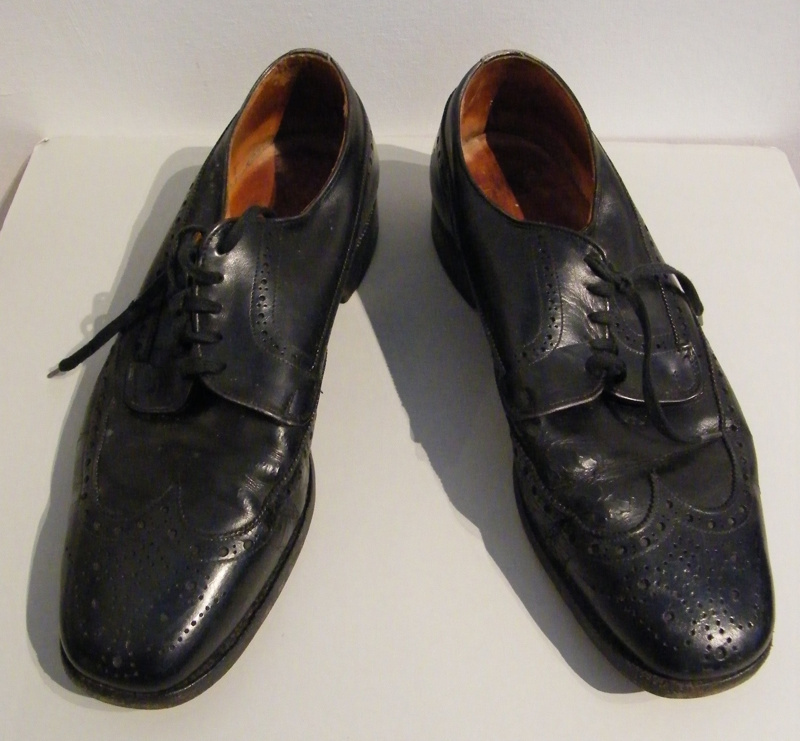 These shoes were worn by Sir Robert Muldoon on the night he called the snap election in 1984. They were donated in 1992 by Sir Robert's wife Lady Thea Muldoon to Jim McIntosh (Paraparaumu Shoemaker) for his New Zealand Shoe Museum. This collection was then donated to the Kapiti Coast Museum in the 1990s.